"Comes with a chosen initial or number engraved in the center." "We are sure she'll be surprised by some of the results." "It’s stunning, but it’s also an indispensable tool in the kitchen." "This scrub will make Mom feel extra refreshed after her morning shower." "Will brighten her mood by bringing a bit of compact greenery indoors." "Mom can enjoy millions of movies, shows, songs, books, apps, and games." "Gives Mom’s skin the benefit of all those antioxidants in a glass of wine." "This book is relatable to any mom in your life." It never hurts to buy a special mom jewelry on Mother’s Day. If she doesn’t like to be flashy with her accessories, this dainty heart necklace will give her the understated style she’s been looking for. Each heart is 14-karat gold, silver, or rose gold plated over brass and comes with a chosen initial or number engraved in the center. That personalized touch can represent anything you want. You can get her a few necklaces—each with her children’s initials—that she can layer over each other. Or give her a heart with her lucky number to offer her good fortune wherever she goes. The heart is a mere 7 millimeters wide, so it will never overpower her look for that day. If she is interested in where she came from (or you want to think out of the box this year) this comprehensive DNA test will tell her her heritage and trace how your family has migrated over the years. After she performs a simple spit test (it is really easy and not that gross) she'll send the sample into the lab with the included pre paid label. Weeks later she'll get a digital report which will tell her her DNA breakdown as well as any relatives distant and far who share her DNA. If you want to take this test a step farther you can purchase the health and DNA test which can tell her fun things like if she is a restless sleeper, or how she reacts to coffee and more serious health concerns like any genetic conditions and carrier status (so take this into consideration). As much as she might think she knows everything about her heritage, we are sure she'll be surprised by some of the results. What's more, her children will also enjoy completing a test to compare how their DNA has changed with when they were conceived. Most home cooks would love to have the full collection of Le Creuset cookware prominently displayed in their kitchen, like pieces of art. Unfortunately, it costs thousands of dollars to achieve that dream. Since some of the best gifts are things that someone wouldn’t have splurged on for themselves, it makes sense to choose a piece from this iconic brand. One of Le Creuset’s classic pots is the Dutch oven. It’s stunning, but it’s also an indispensable tool in the kitchen. The enameled cast iron retains and distributes heat evenly and can withstand temperatures up to 500°F. Plus, Le Creuset has a reputation for lasting decades (and has a lifetime warranty, too). Go for the 9-quart Dutch oven to make sure Mom can tackle big food tasks like Thanksgiving dinner or a potluck party. See more reviews of our favorite dutch ovens​ available for purchase. The go-to gift of last-minute Mother’s Day shoppers is usually just a bouquet of flowers. It’s the equivalent of getting Dad a tie for Father’s Day. Instead of being totally predictable, buy Mom a nature-themed gift that she’s never had before. A bonsai tree will brighten her mood by bringing a bit of compact greenery indoors. Bonsai experts spend years training the branches of these small trees to grow in the correct directions. Since Mom doesn’t have time for that, this eight-year-old Harland Boxwood Bonsai comes pre-shaped. The tree has glossy green leaves and blooms yellow flowers in the spring. Mom just needs to water it weekly and prune it occasionally. 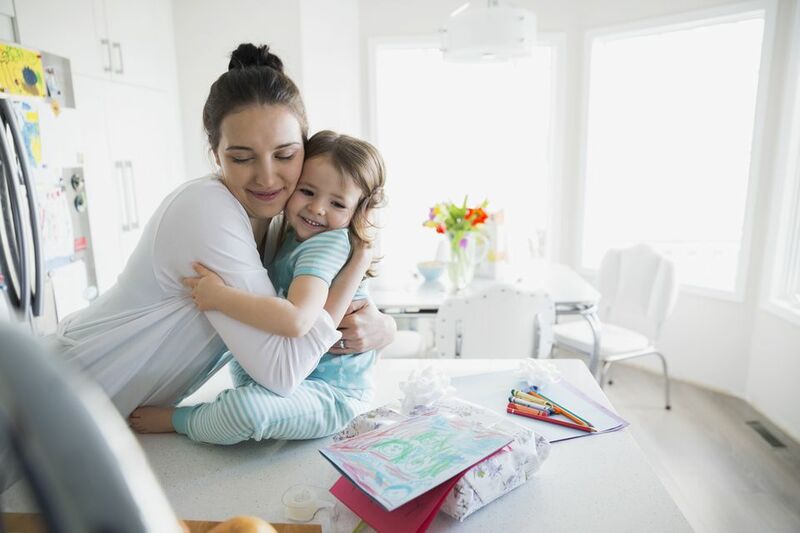 Moms are much so more than just “Mom”—and kids can forget that sometimes. They are individuals who like to play games, learn, read, watch TV and explore their own hobbies. Make it easier for them to do all that with a new tablet. With the Fire 8 Tablet, Mom can enjoy millions of movies, shows, songs, books, apps and games. She can watch Netflix wherever she goes, surf the web from her favorite cozy spots and video chat with her kids (or grandkids) while she’s away. And with Alexa, Mom can check her calendar, play music, or ask a question on command. This light tablet is fast and the battery can last for 10 hours on a single charge. You’ve probably seen plenty of Wine Mom memes on Facebook. Things like “It’s wine not whine.” Or “Mommy’s juice box” in reference to a big container of boxed wine. It’s a way for moms to laugh together and admit that, yes, their kids drive them crazy sometimes (or all of the time). Tap into the #WineMom trend by gifting your mom friend a wine-themed gift—except this one will actually make her healthier. This set of natural soaps gives Mom’s skin the benefit of all those antioxidants in a glass of wine. Each set has four vegan, gluten-free bars that display colorful layers of the wine within. They’re subtly scented with complementary essential oils to make Mom’s bath akin to a trip to the spa. Any woman with a daughter or a mother has experienced the ups and downs of a mother-daughter relationship. (Those teenage years test you both.) No matter how you came out on the other side, you both know that you have an unbreakable bond. This book explores that bond with essays from best-selling authors, Pulitzer Prize winners and well-known journalists who reflect on gifts their mothers gave them. Some stories are about actual objects from their mothers and others are about sacrifices their moms made and lessons they handed down about life. This book is relatable to any mom in your life. She can read it to think about the gifts she’s given her own children and the ones she can credit back to her mom.